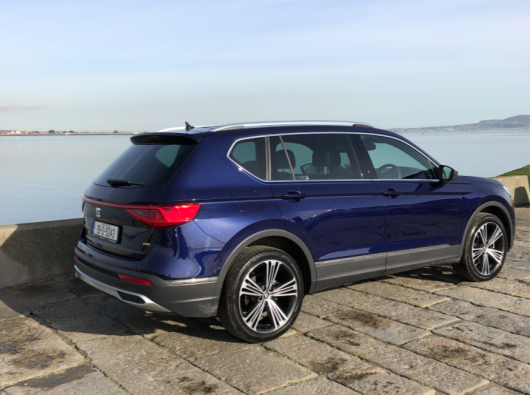 We take a first drive in the much anticipated new SEAT Tarraco. Yesterday we visited the RTE studios for the launch of SEAT’s first large SUV. The all-new SEAT Tarraco, is here and now available to order across the dealer network. Prices kick off at €34,700 for the SE range with APR finance from 2.9% and monthly payments starting from €339 pricing for the Xcellence range starts at €39,885 with APR finance from as low as 1.9% and monthly payments from €369. 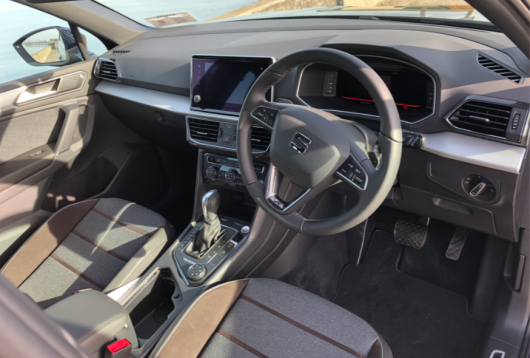 SEAT are confident there is no need for the base model range thanks to the keen pricing so every Tarraco that graces our roads will be SE and above. 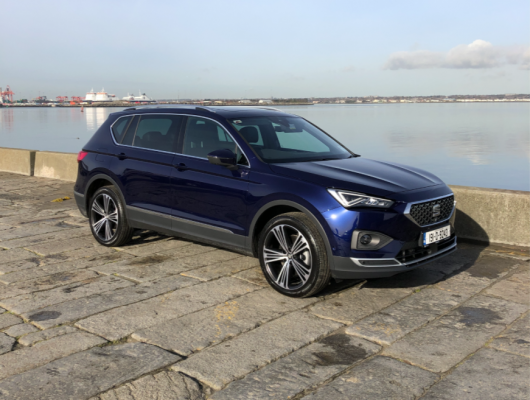 Niall Phillips, Brand Director at SEAT Ireland said: “We are very excited to welcome the Tarraco to Ireland in 2019. 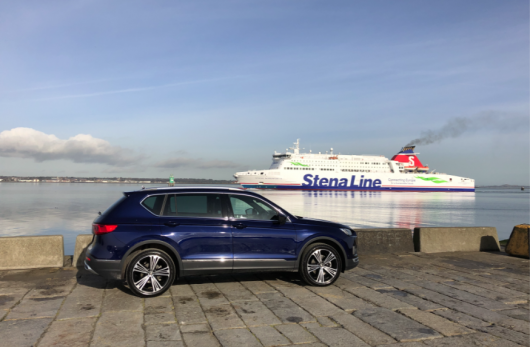 There has never been a greater demand in the Irish market for SUV vehicles and SEAT has been satisfying this demand over the past couple of years through its existing SUV range comprised of the SEAT Ateca and Arona, models which have enjoyed remarkable success. SEAT have positioned the Tarraco at the top of their SUV family making it the big brother to both the Ateca and the Arona. Next year further additions will join the SUV family including a hybrid and full electric offering in late 2020. When the covers came off the Taracco its dimensions and appearance all pleasantly surprise us. There is no mistaking it’s a SEAT with familiar design cues throughout but it’s also not hard to see that production takes place in Wolfsburg, Germany with many family attributes from the VW Group. Climbing inside the cabin you get a lofty driving position and a blend of high quality furnishings along with the latest technology to keep you company. Our test drive was set to be short and sweet with a 30-minute spin out to Poolbeg and back. The good thing about this little route is that it takes in motorway, twisting back roads and nearly 1 kilometre of uneven road surfaces out to the lighthouse. 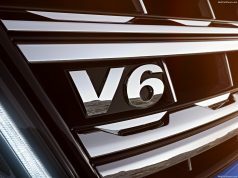 The Tarraco comes with a choice of two frugal petrol engines or two diesel units of which ours was the 2.0-litre diesel mated to a DSG 4drive system. This is a power plant we are all familiar with and it never fails to impress. With 400Nm of torque you will be able to carry 7 people on mountainous roads with ease. It felt potent on the motorway, nimble through the corners and soaked up those previously mentioned undulations without any issues. Naturally the Tarraco meets the most stringent emissions legislation while still offering adequate performance across the engine range. With this in mind we would urge you not to feel like you need the diesel offering when the 150hp petrol TSI might be more than adequate for your needs. Our test drive was didn’t last long enough but we will soon live with the Tarraco for seven days to see how it performs not just on road, but also off the beating track. We wish SEAT every success with this latest offering and look forward to spending more time with it.